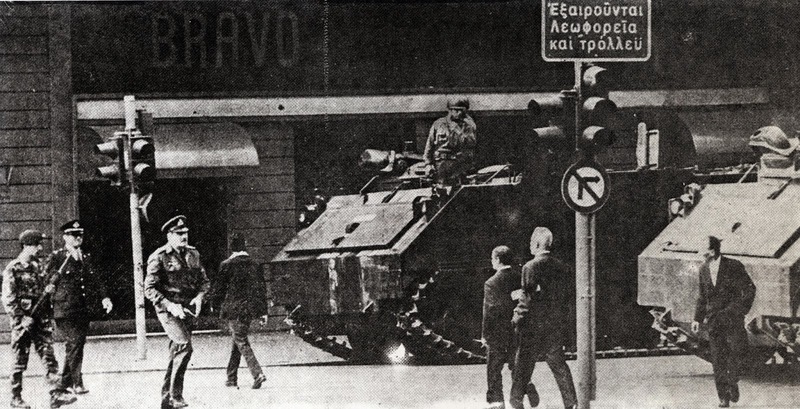 Forty one years ago today, Greek tanks broke down the main gate of the Athens Polytechnic, killing students and marking the start of the end of the seven-year dictatorship that had begun on April 21, 1967. 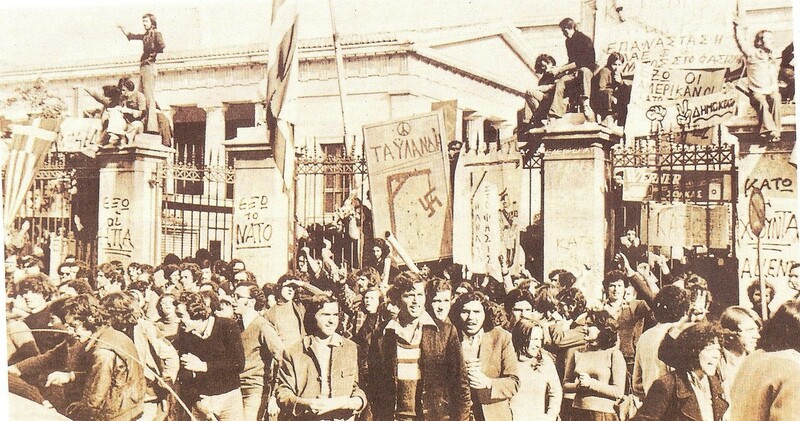 Indignation against the dictatorship were forcefully expressed from early 1973 with student sit-ins at the Athens Law School in February and a demonstration on November 4 on the occasion of a memorial service for statesmaan George Papandreou. 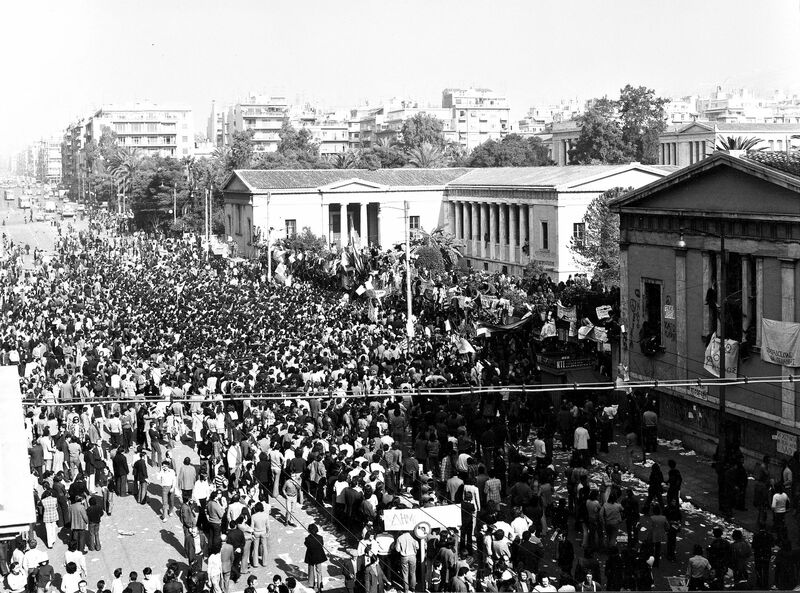 The political upheaval at the Athens Polytechnic began on November 14 with a student sitin and peaked with a pan-Athenian mobilization against the regime whose methods included displacements, mass trials in emergency courts, torture, mock executions and murders. 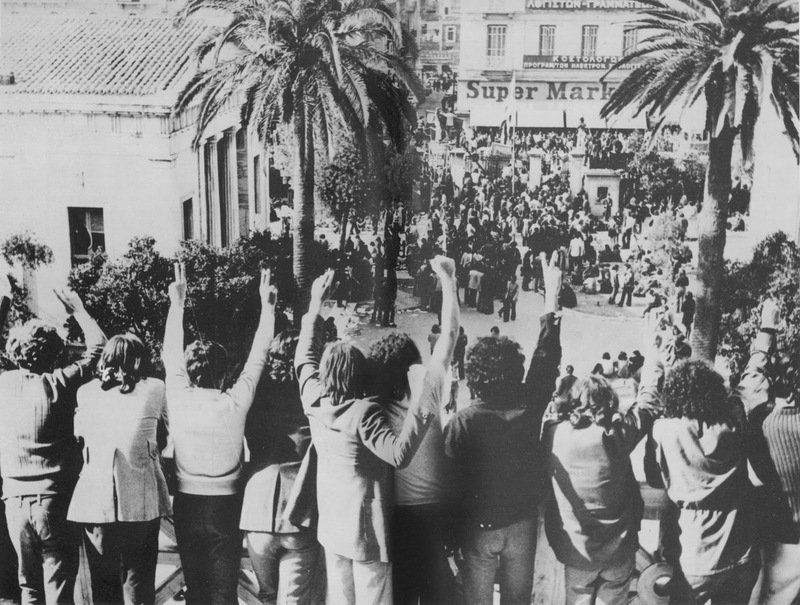 THe uprising began with a general meeting of the students’ unions that resulted in the rejection of government measures concerning the planning of student elections. 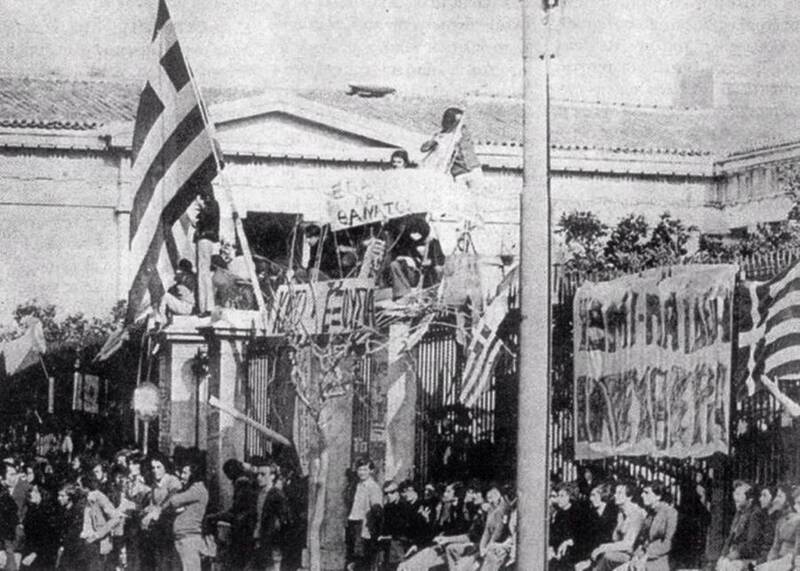 Students gathered there decide to occupy the building and send out clearly political messages that are encouraged by Cretan singer and fighter against the regime Nikos Xylouris. There is a large police presence but more and more students enter the area. The main slogans are: “Bread. Educatio. Freedom.” “People break your chains!” “U.S. Out” and “Down with the Junta” “Freedom” “Today Fascism Dies” “This’ll be another Thailand” (in reference to a student uprising in July 1973) Doors are shut and the first meeting of the Coordinating Committee takes place at 8.30 p.m. while student manifestos are scattered around a crowded Patission Avenue in front of the school. 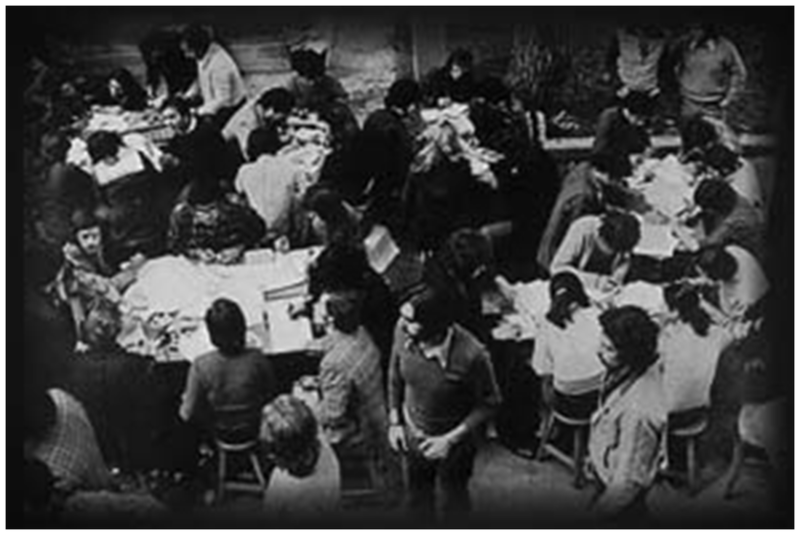 Students flock to the Polytechnic. By 9.30 p.m. the sit-in is packed with people shouting anti-American and anti-Junta slogans. Crowds of students camp out at the Polytechnic. 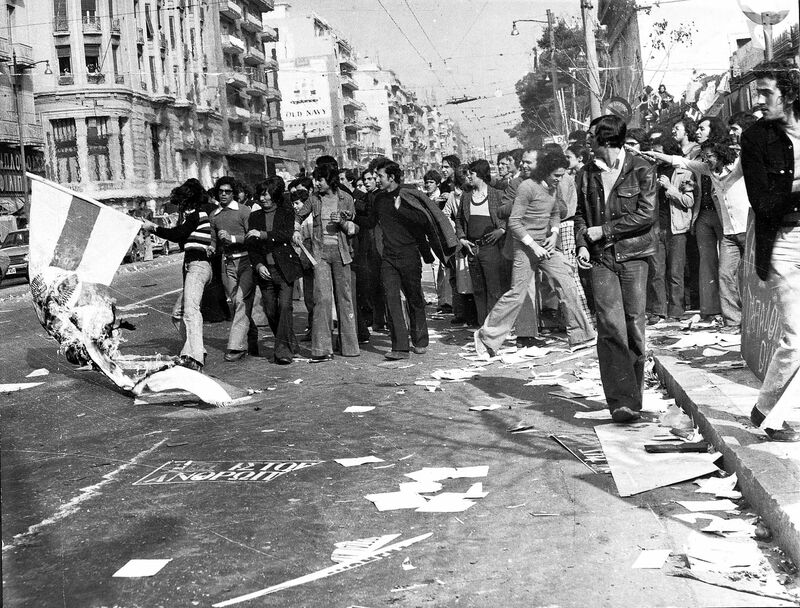 By afternoon there are clashes between police and demonstrators resulting in many injuries. 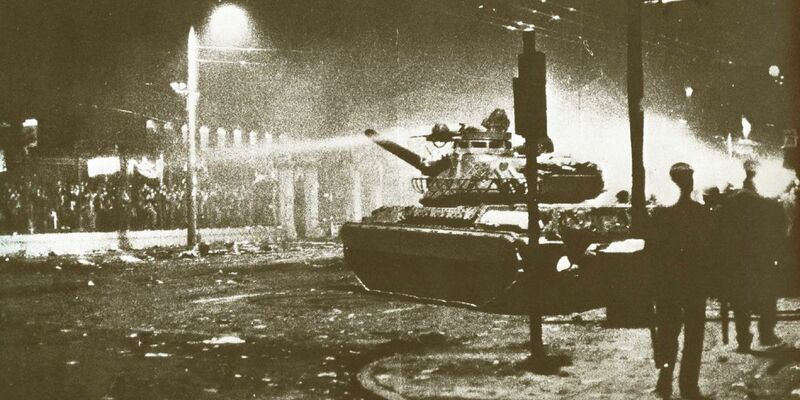 At 7 p.m. police fire shots just as a mass rally heads for the Polytechnic. 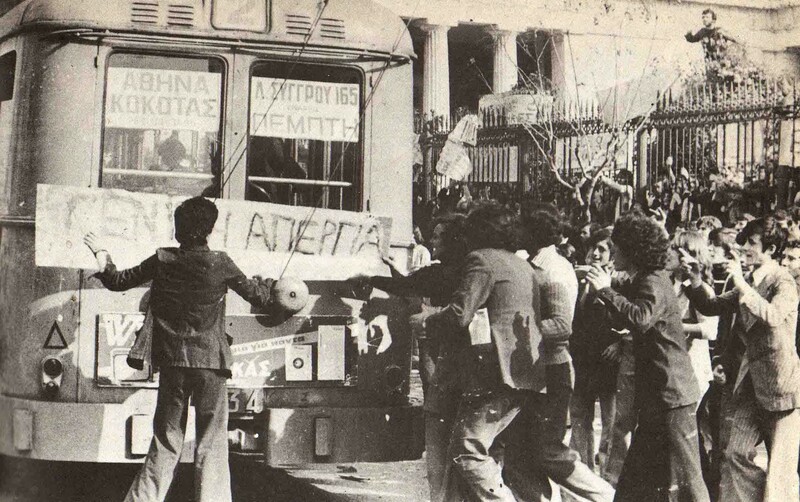 Fights break out on Solonos, Kaningos, Vathi, Aristotelous and Alexandras avenues as well as Amerikis Squares. A curfew is declared at 9.30 p.m. and the radio stations calls students not to leave at 11 p.m. Teargas is fired within the Polytechnic. 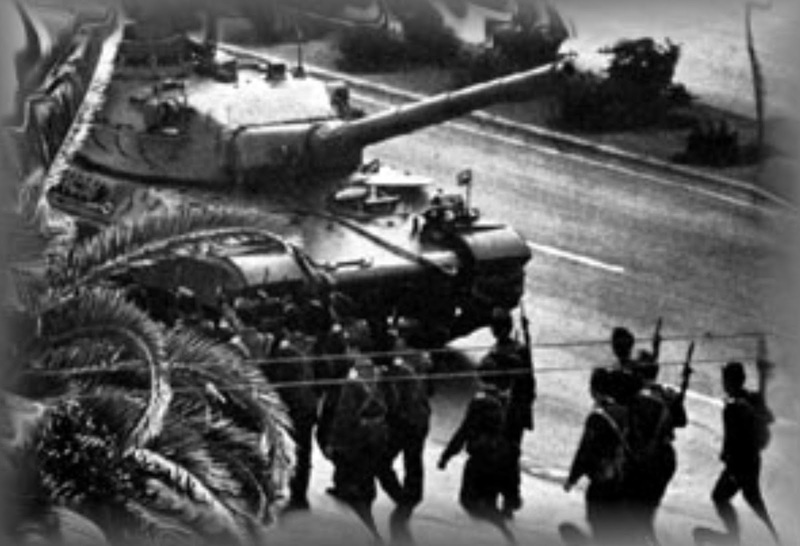 The event is seen as a turning point of the dictatorship. The legacy of the uprising remains and the anniversary is observed as a holiday for all educational establishments. The commemoration traditionally ends with a demonstration that begins from the campus and ends at the United States embassy. Some people believe that the event was a valiant act of resistance, others criticize the heroes of the event and accuse them of selling out on their ideals.